<3. . Wallpaper and background images in the Mayday Parade club tagged: drums drummer jake bundrick mayday parade live concert tour. 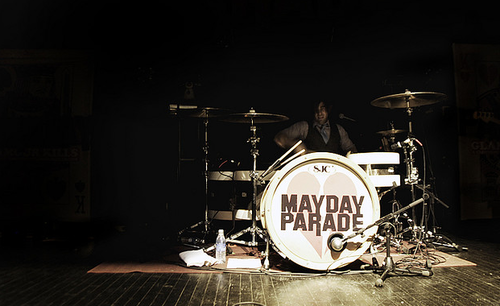 This Mayday Parade photo contains drummer, bass drum casa gran, bass drum, and gran casa. There might also be drum tenor, tom tom, tenor drum, instrumen perkusi, instrumen perkusif, snare drum, and snare drum sisi.